i) Kick-off Spur for easier extraction of foot from the boot. 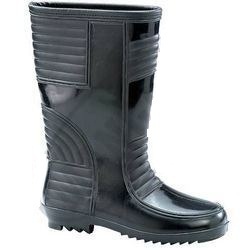 Price Industrial Boots having significant utility in Construction, Mining, Industrial, Electrical & Chemical Enterprises and Oil & Gas, Petroleum Refining facilities. 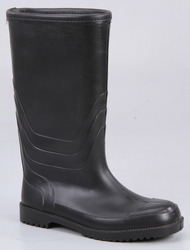 Also the same are of use in heavy rains and snow. 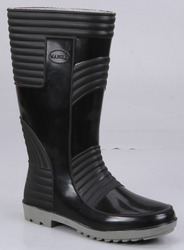 We deals in wellington boot also known as Rain Boot from Indian machines and dies with brand name "TARGEN". 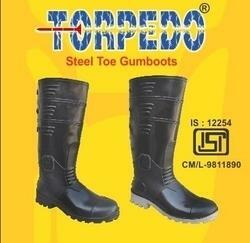 These Rain boots are manufactured as per Indian quality standards. Special Features Kick-off Spur for easier extraction of foot from the boot. 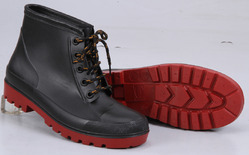 Application Industrial Boots having significant utility in Construction, Snowy Areas Industrial, Electrical & Chemical Enterprises, Salt Manufacturing Workers and Oil & Gas, Petroleum Refining facilities. Also the same are of use in heavy rains and snow.